For many students (myself included) heading back to Uni or college means one thing, a hefty SAAS payment, intended of course for buying books and academic types of things but generally spent on Freshers Week nights out and making good use of Student Discount Nights and buying all the thangs! Because living off beans is ok right?! 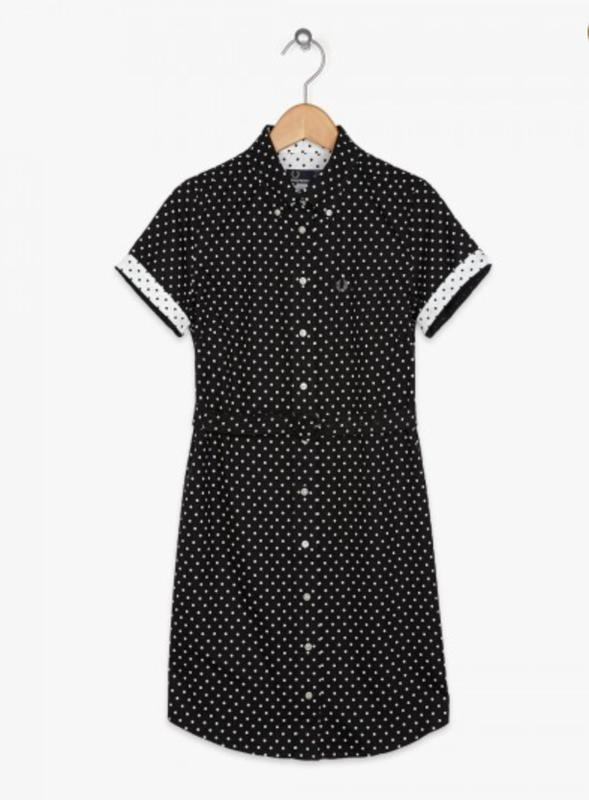 This Friday Buchanan Galleries are hosting a Student Takeover (26/9) the perfect opportunity to make use of your student card in grabbing a few bargains, the lovely folks at Stripe asked me to put together a post of a few of my top buys at Buchanan Galleries for students like myself*. I've pulled together a few pieces that are top of my shopping list in making sure I'm all set for fourth year, first up is a winter coat, every girl (any guy) needs a good coat in their Autumn Winter wardrobe and this year for me it's all about pastel toned oversized coats. 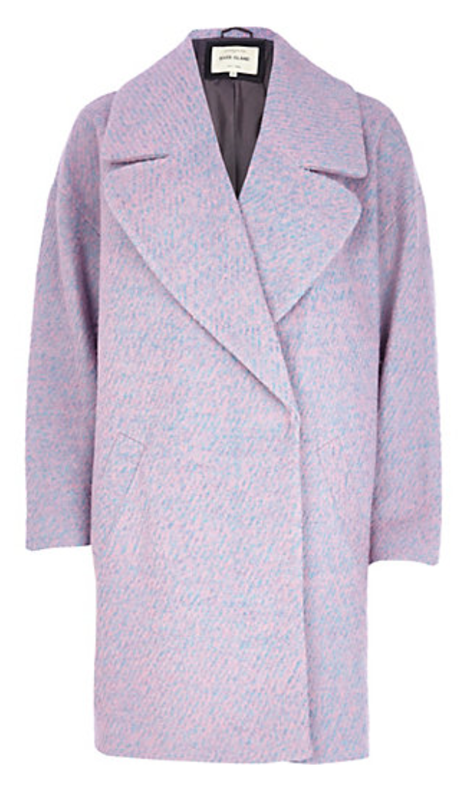 I'm loving this Pink two-toned wool blend coat from River Island, the perfect coat to chuck on and wear with everything and keep cosy too! Though £90 might seem a bit steep for a coat, keep an eye out for Student Discount nights and offers, it's worth investing in a good quality coat that could potentially last you for years! 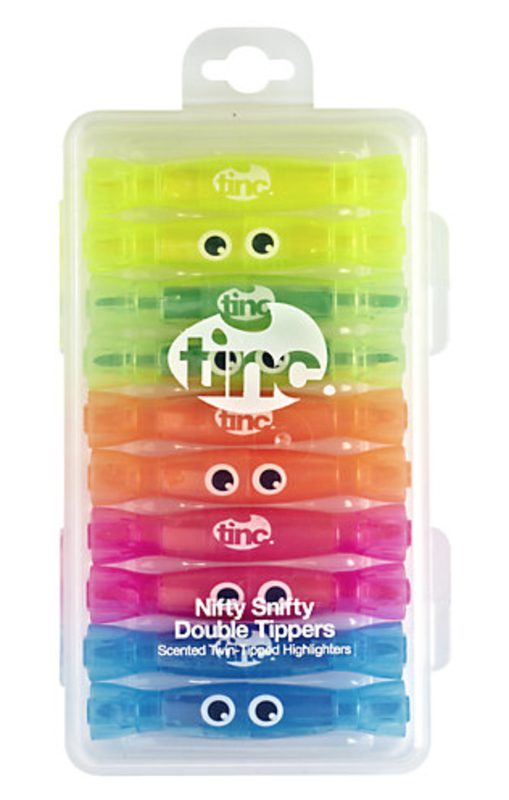 Next up of course stationery, I'm a sucker for cute stationery and these scented highlighters from tinc at John Lewis are no exception, complete with a handy case, they'd be the perfect addition to your bag (or if you're like me and super cool! :P backpack) highlighters are a must for me when studying and keeping organised and colour coordinated! 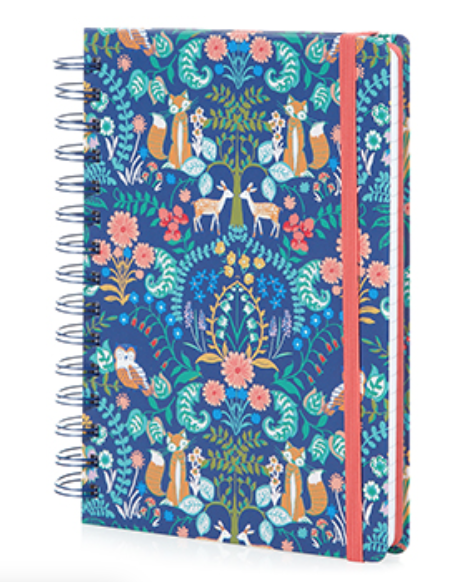 Another must for taking notes in lectures and seminars is of course a notebook, I'm a bit of a notebook collector and have more than I'd like to admit, this Wilderness print one from Accessorize is super cute, I love the fawns and foxes on it! And remember Accessorize offers 10% student discount all year round! If there's one item I'd recommend you buy as a student (well just everyone) it's a watch, perhaps a little cliched or obvious, I only began wearing a watch properly last year when I bought my Michael Kors watch and was gifted my Olivia Burton watch and if I'm honest I know feel a little bit naked when I'm not wearing a watch. The reasons are obvious from keeping on time for lectures, not having to sneakily check the time on your phone (not having to worry about your phone battery life) I love Swatch watches and this Lady Cyan watch is no exception, it'll brighten up any outfit but is still relatively smart, I like the double wrist strap feature which makes it a little different too. I'd love to know what your must buys are if shopping at a Student shopping night, I'd definitely recommend heading along if your local shopping centre is hosting one as stores often boost their existing student discount or offer one-off deals and discounts which are too good to miss out on! I'm heading along to Buchanan Galleries this Friday after uni to pick up a few bargains myself, keep your eyes peeled on the Buchanan Galleries Student Takeover event page as they'll be releasing a list of all the discounts and offers up for grabs very soon!